Drilling to break rock is not all we do. 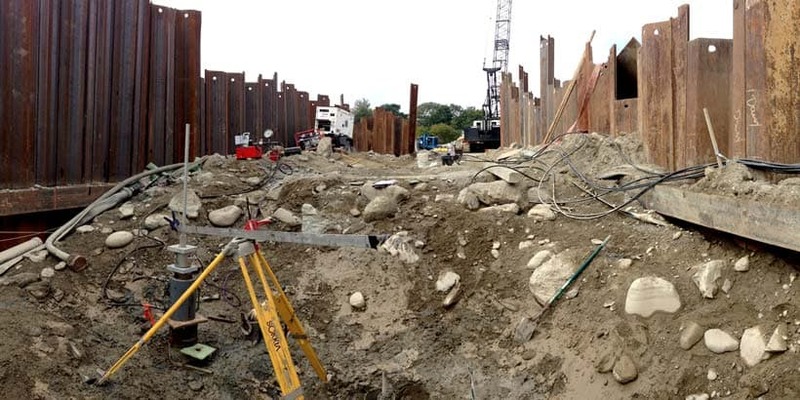 We also utilize our fleet of drills and experienced craftspeople to install rock anchors, dowels, guy anchors and micropiles for a variety of construction needs. 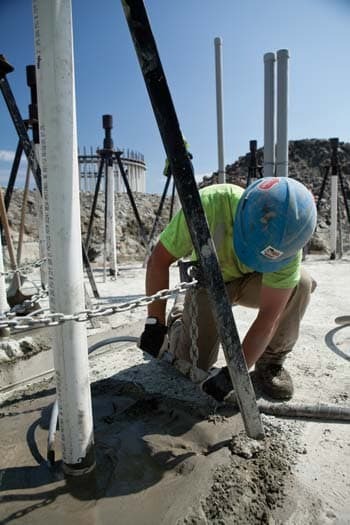 Foundation components requiring structural connections to bedrock is a specialty that compliments our fundamental service of drilling and blasting. 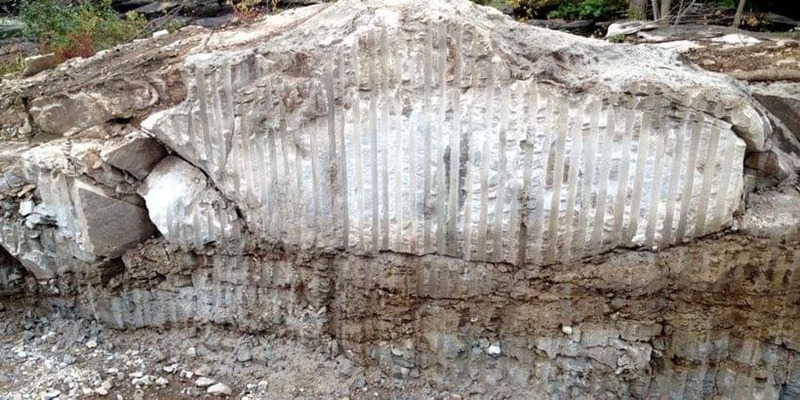 In general, the foundation components we install improve the load capacity for new and existing foundations or stabilize jointed rock for foundation excavation and slopes. These components secure rock cuts, tunnels, foundations, deep excavations, transmission lines, cell towers, and wind towers. Guy anchors provide load stabilization for transmission lines or other structures. Micropiles can provide a cost effective solution to increase capacity for a variety of different structures while causing less vibration than other deep foundation solutions. 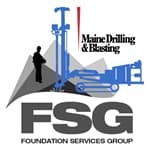 Maine Drilling & Blasting has come to be recognized as the drilling & blasting AND drilling contractor of choice for many energy construction projects. 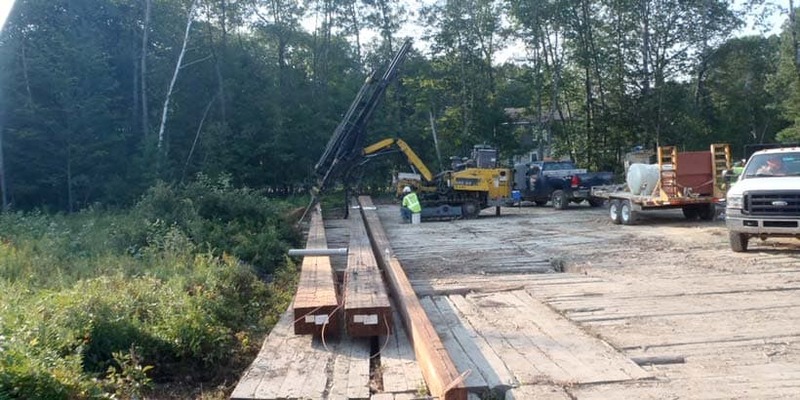 Maine Drilling has installed over 5,000 rock anchors to post tension tower foundations at 19 wind projects throughout New England and installed more than 3,000 rock anchors for transmission lines and hydroelectric projects. 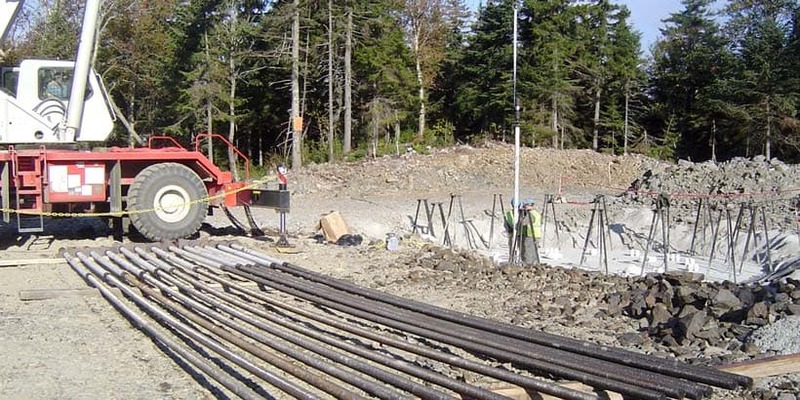 Outside the energy sector, we have performed numerous projects at marine terminals, rock stabilization sites, waste water treatment plants, building foundation support, bridges, and communication tower sites. Our depth in personnel and equipment allows us to construct projects large and small. We self-perform our activities starting with the drilling, through the grouting and load testing activities. 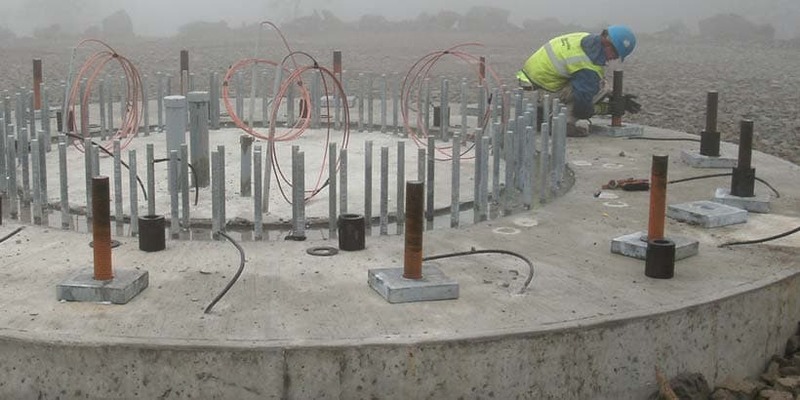 Our completed contracts have included 12 inch diameter drilling and load testing to over 700 kips. We perform in diverse conditions such as the remote access nature of transmission line right-of-ways to wind site ridgelines, and the tight work areas of existing communication tower sites and urban areas. Our operations group includes many seasoned superintendents, foremen, drillers, and laborers. We also have a trained group of engineers who, with the operations personnel, successfully manage many complex contract specifications, submittals, schedules, quality control, and design consultants. When it comes to rock anchors, our focus is building an efficient project on time. View our foundation projects here. Get a free foundation services quote!